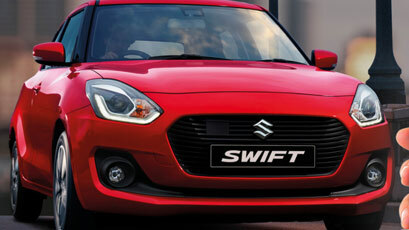 The Suzuki Swift has always turned heads with its sporty looks, spirited performance and sleek interior. With a superior combination of stability and dynamic handling for an exhilarating ride, and featuring sophisticated technology like a multimedia satellite navigation system*, Bluetooth® connectivity with audio streaming and the safety of 7 airbags and ESC – it’s more Swift than ever. And that means it’s more fun than ever. The Swift might look compact from the outside, but life wouldn’t be much fun without lots of friends and life’s essentials along for the ride. 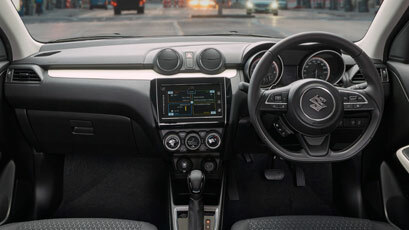 So with Suzuki’s expertise in compact car space efficiency, the cabin proportions have been optimised for roominess and comfort. With 60:40 rear seat configurability, a deceptively tall luggage area and cleverly designed storage spaces, you’ll find more than enough room for passengers and luggage alike. 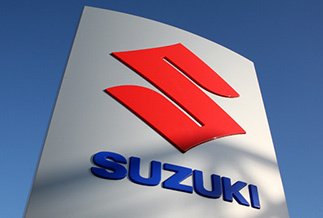 In keeping with Suzuki’s global push to achieve superior environmental performance, the Swift has been designed with a strong focus on increasing fuel efficiency and lowering CO2 emissions. 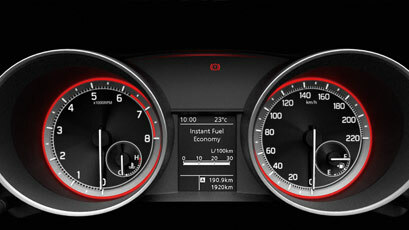 With a design goal of lighter, smaller and cleaner running, the engine offers the driver sport performance with a superior fuel efficiency of 5.5/100km* and reduced carbon emissions of just 132g/km^. The Swift also boasts a 5 star rating from GreenVehicleGuide.com.au, giving you a more eco-conscious driving experience – which just adds to the fun of driving. Driving the Swift is as much about confidence as it is about fun, and with a 5 star ANCAP rating, the Swift offers total peace of mind. 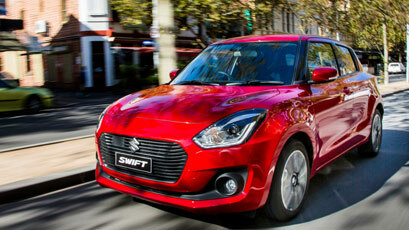 Suzuki has adopted cutting-edge safety technologies for the Swift’s body, reflecting an evolution of Suzuki’s proprietary Total Effective Control Technology (TECT) concept – making extensive use of higher-strength steel in pursuit of higher levels of impact safety. Combined with exceptional safety technology including 7 airbags, ABS, EBD, Brake Assist, and Electronic Stability Control (ESC), it’s a safe bet you’ll find the Swift a fun and safe drive.